In 1952 MG tuner Lionel Leonard replaced his first Cooper MG registered JOY 500 with a new one, chassis number #4/4/52 registered KOY 500 which is featured today. 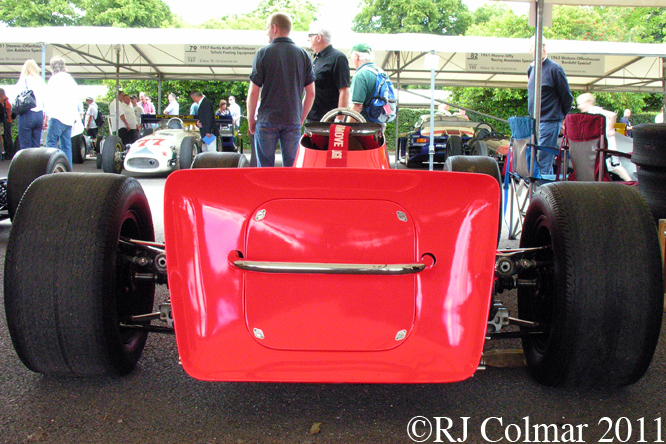 Peter Morely, who completed a restoration of the car in 2008 tells me the chassis appears to have much in common with the earliest rear engined Cooper 500 Formula 3 cars and suggests it is likely that it was based on a used chassis. Doug Nye, author of Cooper Cars, kindly informed me that the T series numbering system was applied retrospectively to this era of Cooper, it is accepted in some circles that when Lionel bought both JOY 500 and KOY 500, in kit form, that they were both in T14 spec although Cooper would have referred to them simply as Cooper MG’s. The MG XPAG motor, bored out to 1,467cc @ 91 cui, drives the rear wheels through an MG gearbox both of which would have been sourced from the contemporaneous MG TC / TD/ Y series models. 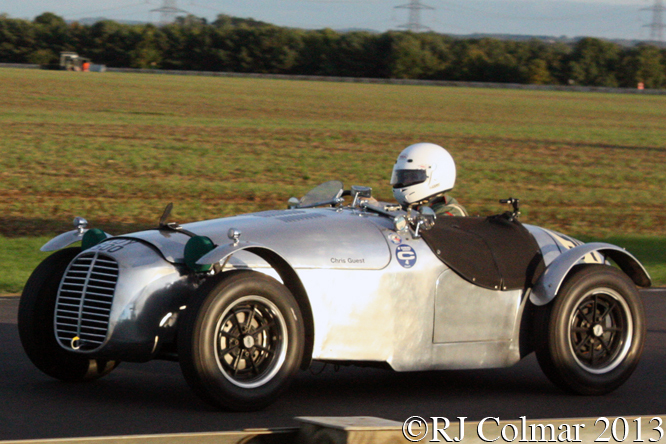 Lionel drove KOY 500 to a second place finish on it’s debut at Snetterton in May 1952 and finished the season with a win at RAF Tarrant Rushton in Dorset. Bristol’s car dealing Horace ‘the Gonzalez of the West Country’ Gould bought KOY 500 for the 1953 season and by fitting it with Mk 1 Cooper Bristol suspension and twin leading edge brake shoes brought the car up to what in some circles is regarded as T21 specification, although again this designation is entirely retrospective. Highlights of Horace’s season included a win in the Queensferry Sprint and 2nd place finish in the Sheena Gray Trophy race at Charterhall. 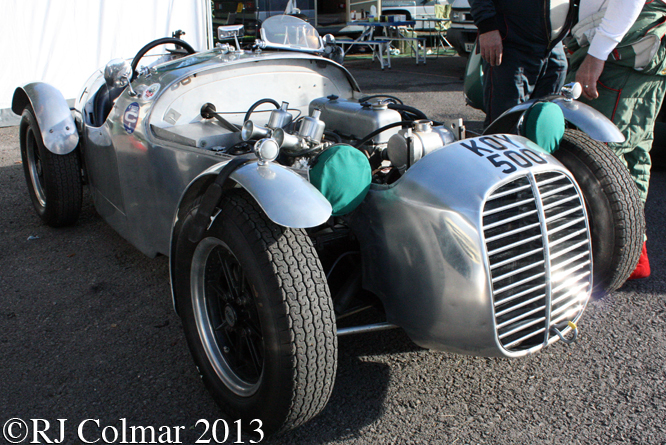 According to Roger Clark Horace advertised #4/4/52 in Autosport as “THE FASTEST COOPER MG IN THE COUNTRY”. 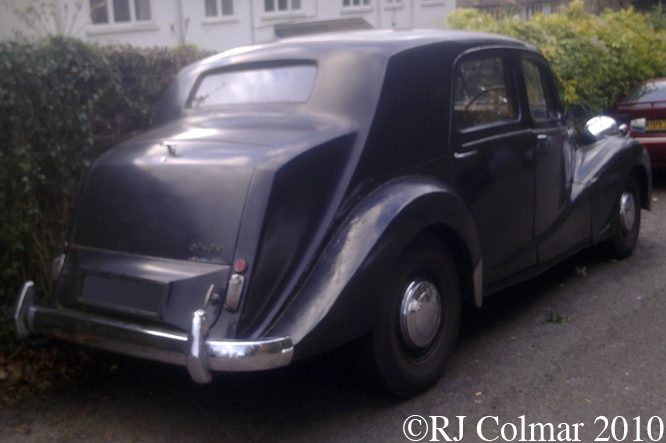 Brian Naylor bought the car and shared #4/4/52 with Ian Davidson in 1954. 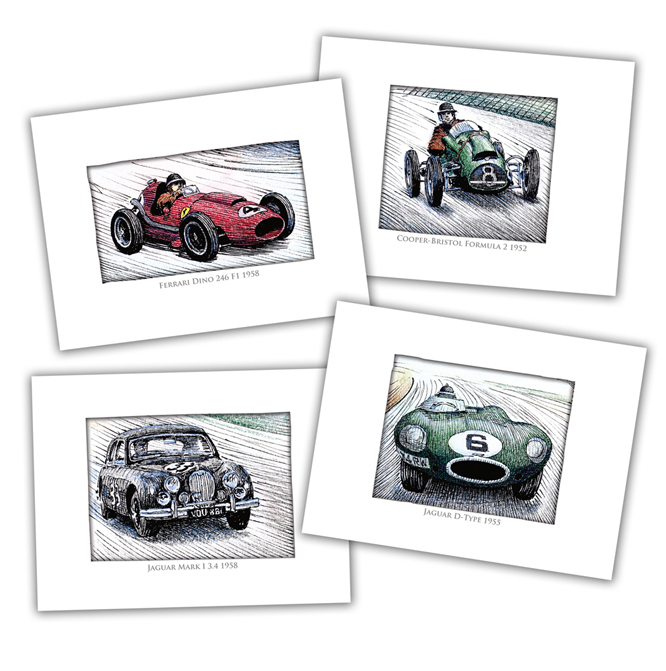 Brian drove in most events recording a win at Snetterton and another at Silverstone, while Ian drove the car in just four events and podiumed in each with wins at the Barbon Hillclimb and Croft. 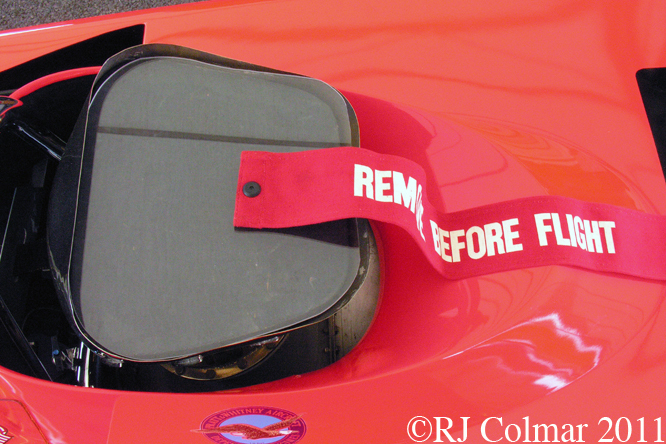 When the restoration of #4/4/52 was completed in 2008 the car was taken to Monaco and competed in the historic meeting in which it finished 6th. 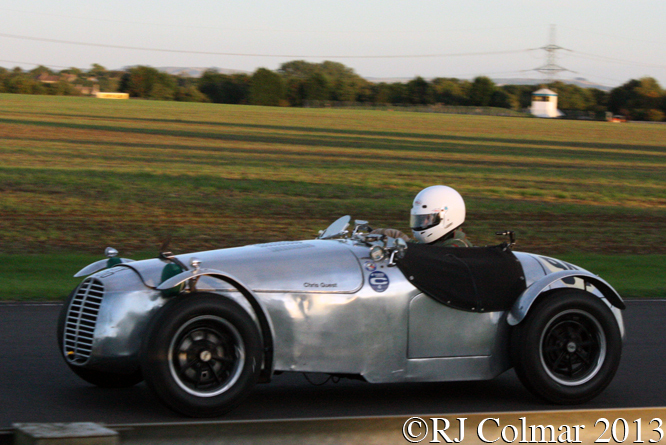 KOY 500 is seen in these photo’s at last years Autumn Classic at Castle Combe with John Paul Mason at the wheel. 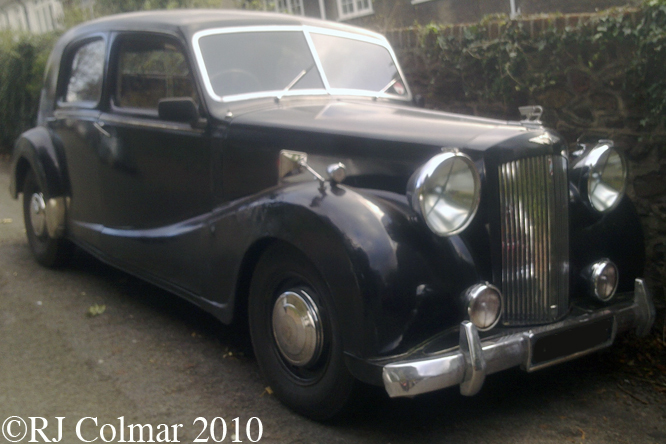 Roger Clark discerned from the much missed David McKinney’s note books that “approximately 20 Cooper MG kits were sold”. My thanks to D-Type, Tim Murray, Roger Clark, Doug Nye and Peter Morley at The Nostalgia Forum for helping me with today’s post. Thanks for joining me on this “Fastest In The Country” edition of “Gettin’ a li’l psycho on tyres” I hope you will join me again for “Maserati Monday” tomorrow. Don’t forget to come back now ! 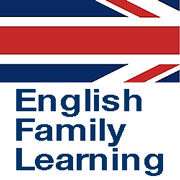 This entry was posted in Uncategorized and tagged Autumn Classic, Castle Combe, Colmar, Cooper, Davidson, GALPOT, Gould, Leonard, Mason, MG, Naylor, Ralph, T21 on April 13, 2014 by Ralph. Before the airing of The Prisoner, Patrick Magoohan who played the lead “free man” stared in another show called Danger Man again playing the lead character John Drake an on call NATO agent for a “messy job”. Episode 12 of Danger Man show’s John Drake arriving at his boss Mr Hardy’s office in an Austin Sheerline similar to the one featured today. Design of the traditional Sheerline started in 1942 under the direction of Leonard Lord. 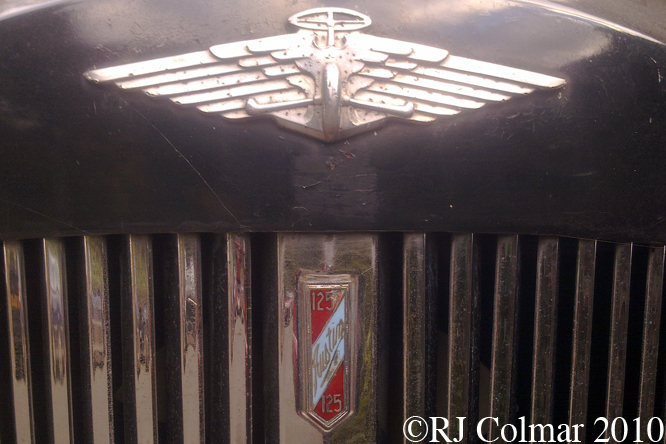 The first 12 Austin Sheerlines were built with a 110 hp straight six motor in 1947. The remaining 11,065 were built up until 1954 with 125 hp straight six motors of the type that would eventually also be found in the Jensen 541R. 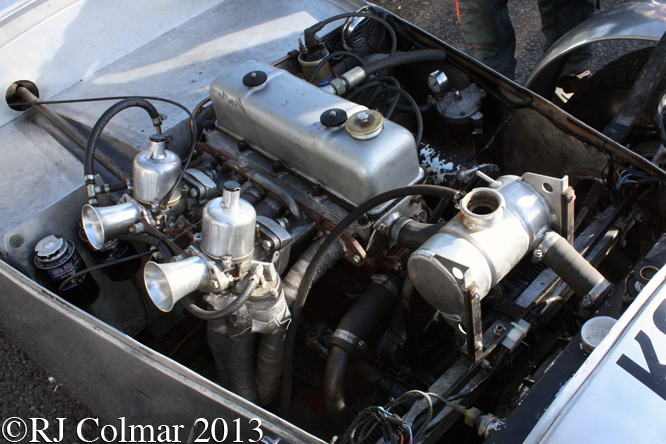 This nearly two tonne car was capable of a top speed of 82 mph, while the glass fibre bodied Jensen 541R with which it shared it’s motor was capable of 120 mph. 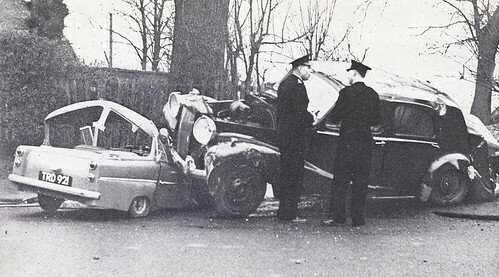 One would not want to meet an out of control Sheerline in anything less substantial, as this linked photo of the aftermath of a collision between a Sheeline and a Bond three wheeler shows. 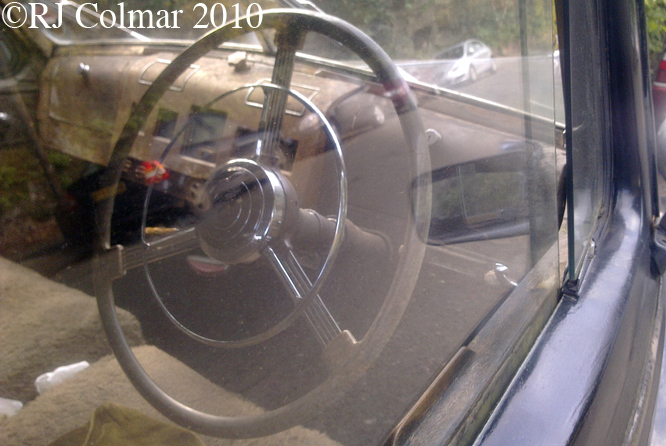 The inside of the Sheerline was opulently appointed with acres of walnut finishing on the dash, all three of the Sheerlines I have seen to date have radios fitted, I am not sure if this would have been standard as early as 1947 to 1954. 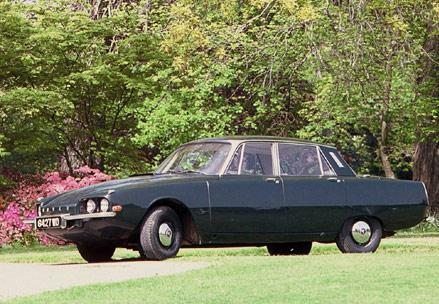 Like the more expensive Rolls Royces and Bentleys of the day Sheerlines were also built as limousines and hearses on a longer chassis frame than the saloon shown here, Sheelines could also be ordered for use as ambulances. 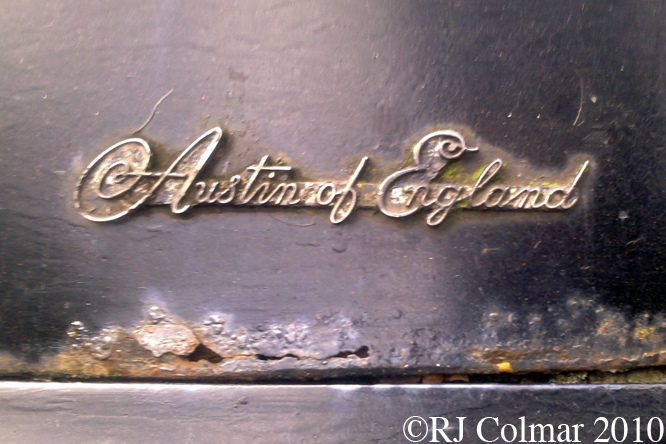 In 1946 Austin acquired the Van den Plas coach building company which was to build an even more up market version of the A125 known as the Austin A135 Princess using the same chassis and running gear. A Sheerline cost £1277 new in 1948 matching suitcases were available for an additional £21. Along with minor parts in TV show’s like Danger Man, Invisible Man and The Saint, Sheerlines also appeared in films like The Belles of St.Trinian’s 1954, The Village of The Damned 1960, The Bedsitting Room 1964 and Hammer House of Horror 1980. 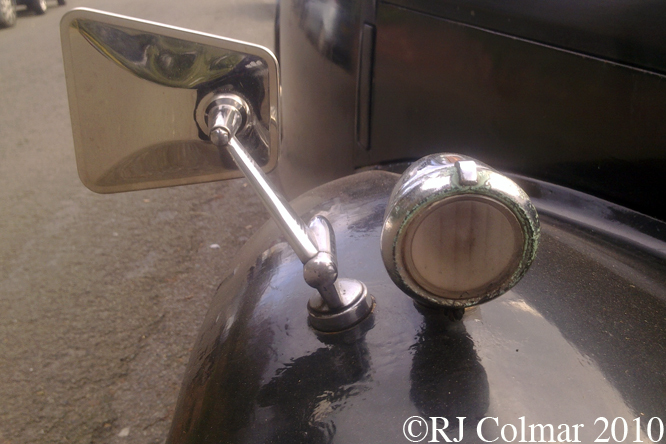 An Austin Sheerline replacement was developed in 1950 but production never, some would say wisely, went beyond a single prototype. 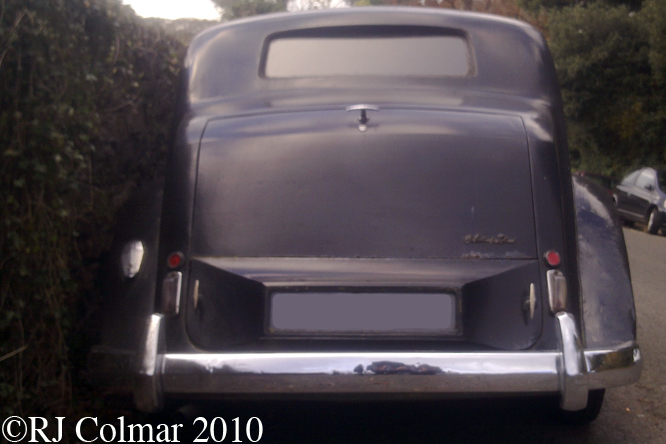 The A125 Sheerline was dropped in 1954 in favour of Vanden Plas bodied Austin A135 Princess range. 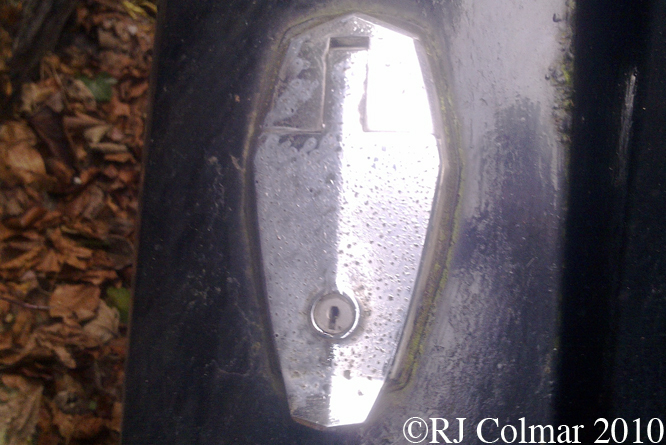 When I first started coming to Bristol in the early 1990’s this particular car became a regular land mark indicating I was completely lost in the crazy maize that is Bristol’s road network. I hope you will join me in sending Birthday Greetings to GALPOT contributor Steve Arnaudin in Brevard NC. Thanks for joining me on this “Sheerline But Not A Princess” edition of “Gettin a little psycho on tyres” and that you will join me again tomorrow. Don’t forget to come back now ! This entry was posted in Uncategorized and tagged Austin Sheeline, Belles of St Trinians, Colmar, Danger Man, GALOT, Hammer House of Horror, Invisible Man, Leonard, Lord, Ralph, The Bedsitting Room, The Saint, The Village of the Damned on October 28, 2012 by Ralph. 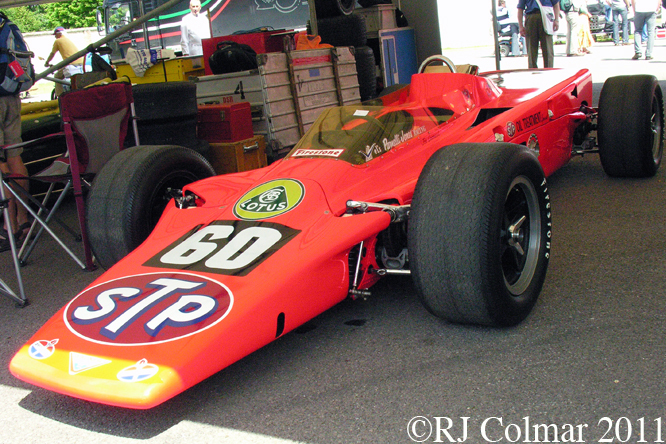 The 1968 Lotus 56 picked up on the technology used by the STP-Paxton Turbocar “Silent Sam designed by Ken Wallis for the 1967 Indy 500 with which Parnelli Jones came within 8 miles of winning before a transmission bearing failure intervened. 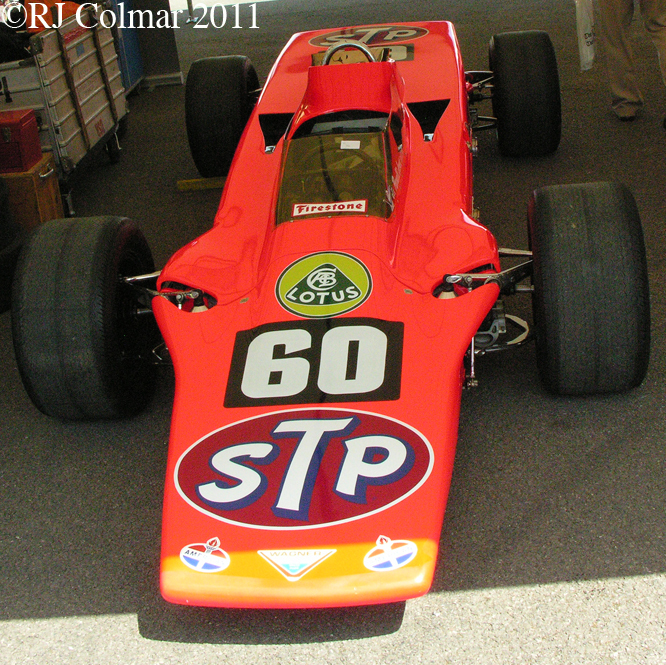 Like the STP Paxton Turbocar the Lotus 56, was also bankrolled by STP’s Andy Granatelli, used four wheel drive transmission. 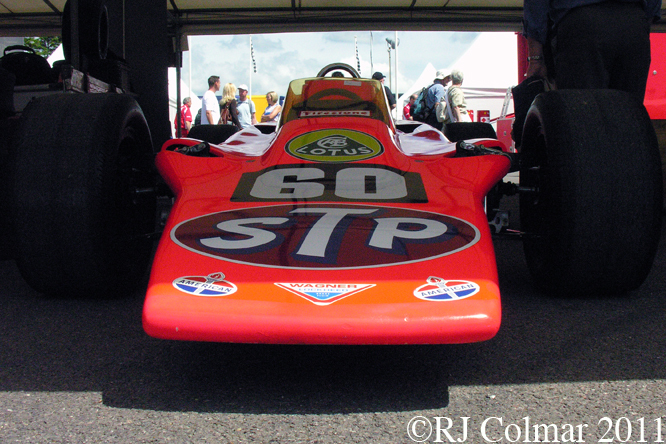 However the Lotus 56 rather than mounting the engine alongside the driver on a backbone chassis as had been the case with the STP Paxton Turbocar, Maurice Phillipe’s design had the motor conventionally mounted behind the driver in what was to become an influential wedge shaped vehicle. Jim Clark was originally penciled in to drive the Lotus 56 but his death during a race in Germany in April ’68 meant British driver Mike Spence was called in to do the early testing of the Lotus 56, unfortunately Mike was killed during practice three weeks before the start of the Indy 500 after hitting the wall in turn one. After an accident with in older STP Paxton Turbo car Joe Leonard joined Graham Hill and Art Pollard in the remaining Lotus 56’s. 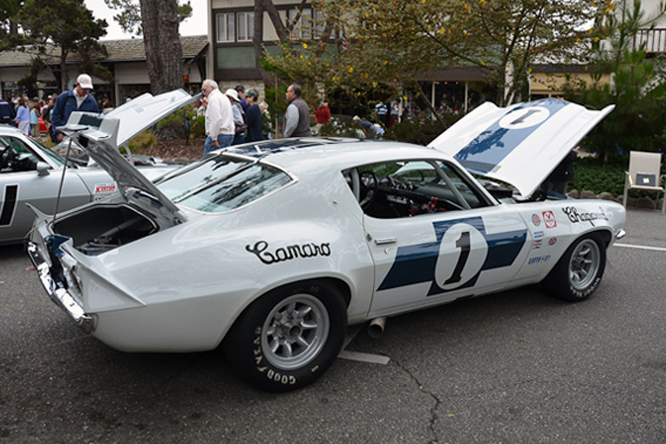 Despite running with an air restrictor plate mandated for 1968 Joe managed to qualify on pole for the ‘500’ thanks in part to the efficient aerodynamics and superior 4wd handling. The big advantage of using a Pratt & Whitney Canada PT6 turbo shaft motor, more familiarly seen in a variety of fixed wing and rotary wing aircraft, was reliability these motors are known to have a mean time between outages (MTBO) of 9000 hours ! The disadvantage of turbo shaft motor was eye watering fuel consumption which means turbine powered cars carry more weight and have to re fuel more often than cars powered by conventional piston motor’s. In the 1968 500 Graham Hill had an accident Art Pollard broke down while Joe Leonard was leading with a few laps to go when a fuel pump shaft failed meaning Granatelli came close but failed to win a cigar for the second year running. 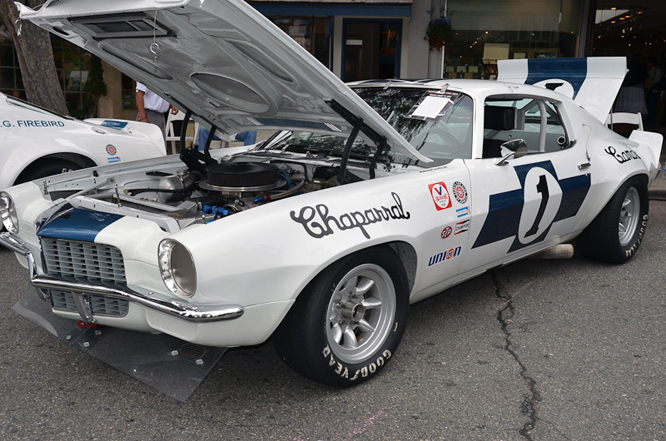 Turbo shaft motors and four wheel drive were outlawed from the Champ Car circuit from 1969. 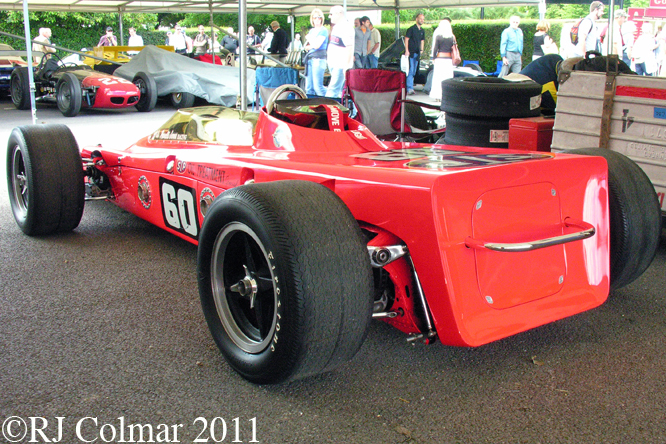 The Lotus 56 design, in 56B specification, was subsequently sporadically used in Grand Prix races during 1971, but apart from phenomenal performance in the wet no overall advantage was found by using the combination of four wheel drive and turbine shaft propelled vehicles. Thanks for joining me on this ‘Son of Silent Sam’ edition of ‘Gettin’ a lil psycho on tyres’, I hope you will join me again tomorrow. Don’t forget to come back now ! 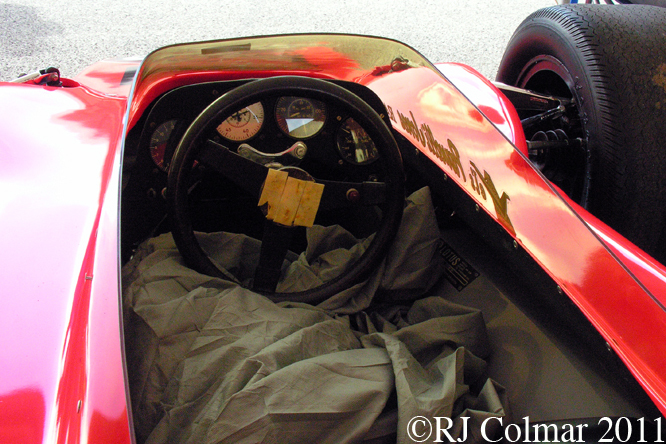 This entry was posted in Uncategorized and tagged 56, Canada, Colmar, GALPOT, Goodwood, Granatelli, Hill, Leonard, Lotus, Phillipe, Pollard, Pratt, Ralph, Spence, Witney on April 14, 2012 by Ralph. One of the earliest motoring books I was given was called Cars Cars Cars Cars by SCH Davis, published by Hamlyn in 1969, from memory the concluding chapter dealt with the future of motoring with a look at some of the gas turbine passenger concept vehicles that had been unveiled over the previous 10 or 20 years. 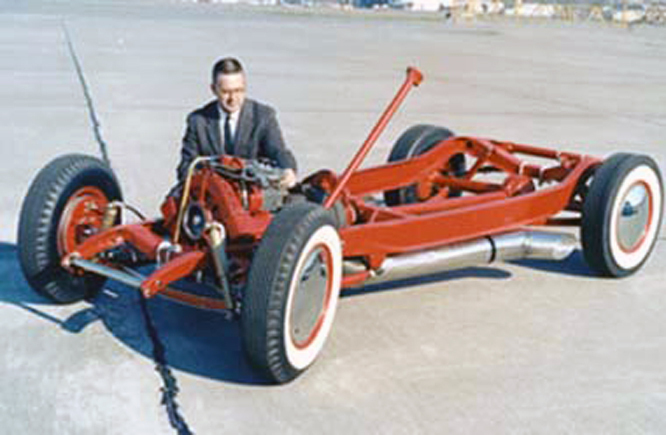 Unfortunately the promise of the so called ‘Jet Car’ has yet to become reality and this had troubled Boeing Engineer Leonard Williams, a full ten years before I read about them, so that when he heard of the opportunity to buy a government surplus Boeing gas turbine for $500 he took the opportunity to build the very first privately owned gas turbine motor vehicle. 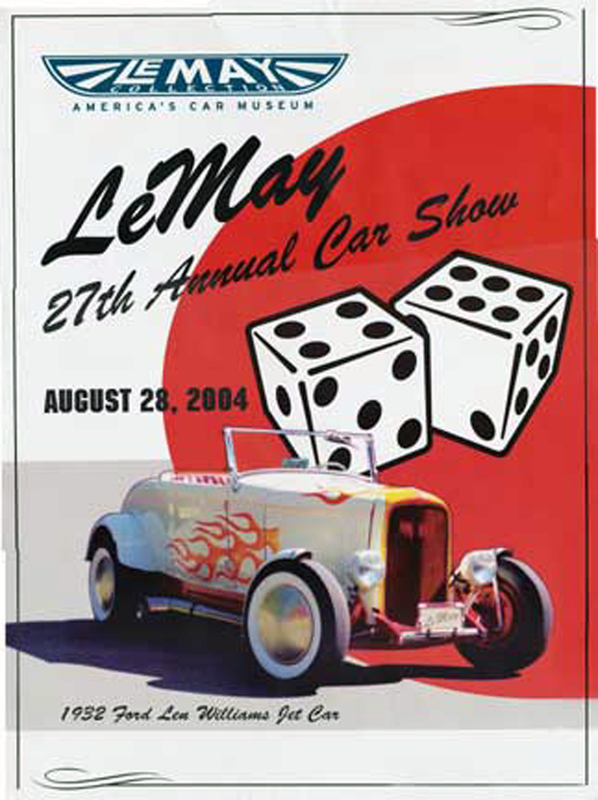 The story of Len’s gas turbine car began after a trip to the road races and Concours d’Elegance at Watkins Glen in 1949 where he was deeply impressed by a 1932 Highboy Roadster from Massachusetts fitted with an immaculate flat head Mercury motor, hydraulic brakes and a black lacquer paint job which stood out among the Duesenbergs, Jaguars, Ferraris, and sundry European exotica. 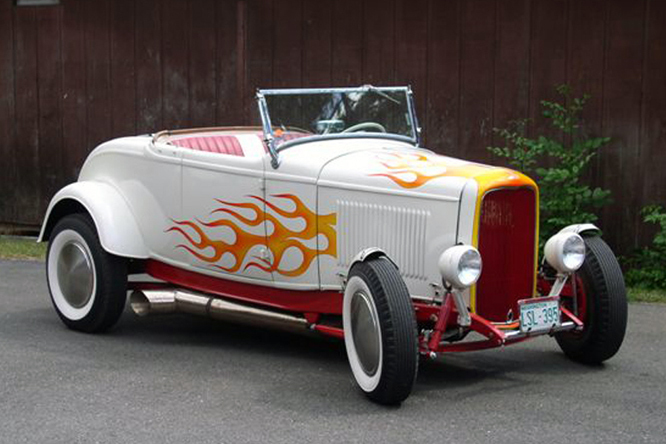 After returning to Willow Run Michigan where he was studying Leonard purchased a a rusty ’32 Roadster from the son of Preston Tucker, of Tucker cars, who was living with his Grandmother in Ypsilanti for $50. Len bought a ’41 Ford for a $100 and swapped over the motor, transmission, brakes and wheels over to his Roadster making a few improvement’s to the motor along with a set of Pontiac tail lights. 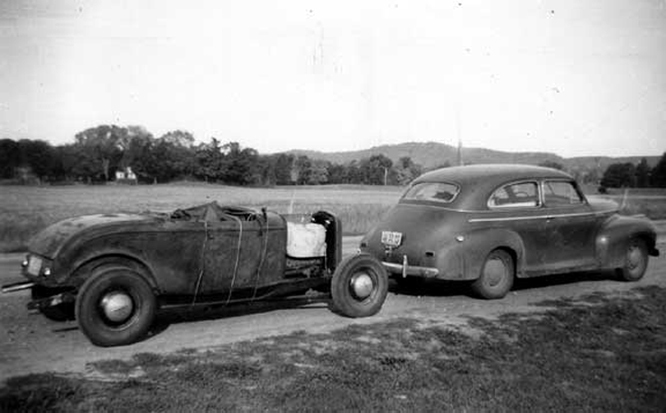 Upon graduating from the University of Michigan in 1950 Len moved with his wife Gladys to Seattle where he was employed Boeing and towed his not quite complete Roadster west behind his ’41 Chevrolet. 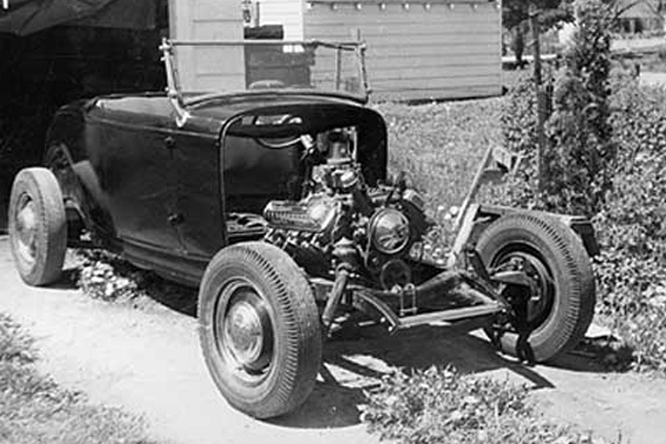 Once Len had finished transforming the Roadster into a Hot Rod he used it as his daily transportation and joined the Dragons Hot Rod Club who used to run a 1250 ft drag strip at Arlington Airport for fun. 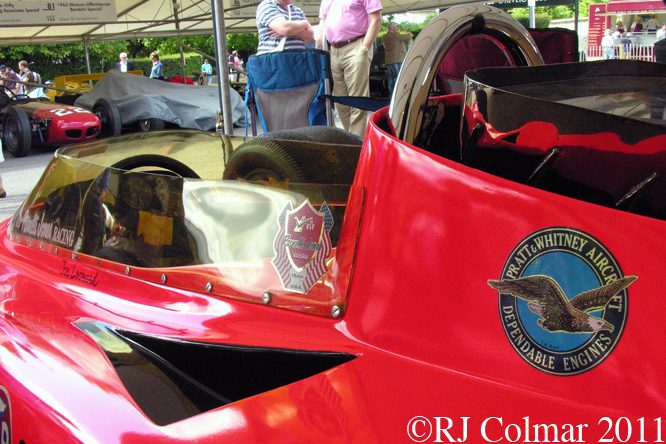 Above Lens Roadster can be seen at Arlington fitted with token mud guards / fenders as required by the State of Washington. While running at Arlington the ’41 Ford Motor in the Roadster was eventually replaced with a ’49/’50 303 inch / 4965 cc Oldsmobile motor that was machined out to 331 cui / 5425 cc and fitted with a four barrel carburetor. 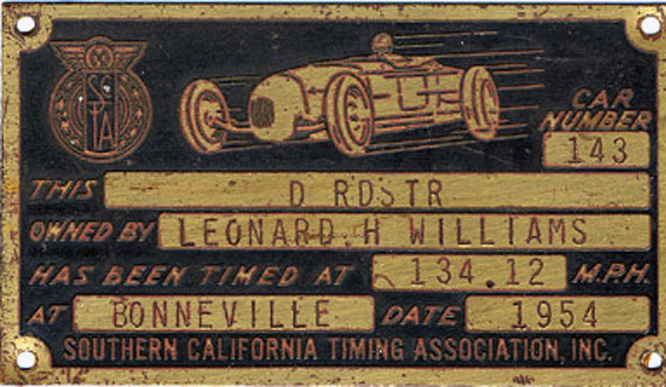 Len drove his Roadster to Bonneville for the Southern California Timing Association Speed trials in ’51, ’52 and ’54s and was timed at 134.12 mph. This was before the establishment of a street legal class and was no match for the trailered cars. 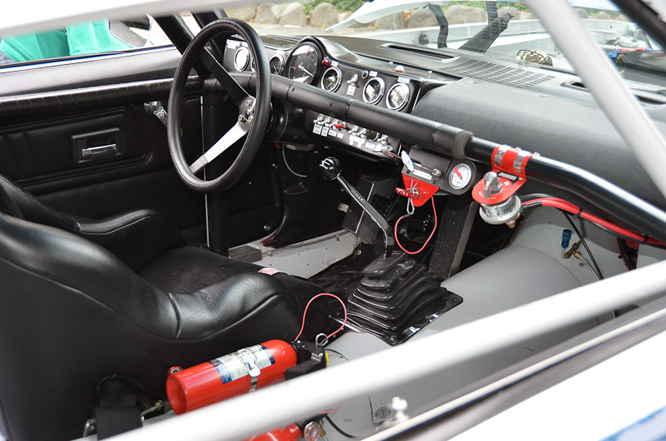 Len put the Roadster aside after Bonneville in ’54 while he fixed up a ’33 five window Coupé with a 283 cui / 4637 cc Chevrolet motor and Corvette cams and manifolds that was capable of 95 mph in 2nd gear. By the time he got back to the Roadster it was suffering from salt corrosion so he decided to strip the car for sand blasting and resprayed the chassis red and body white. 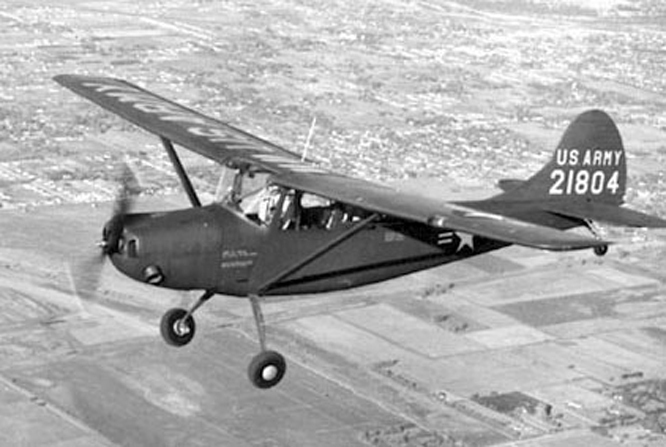 It was after he completed rebuilding the Olds motor for the Roadster and before he had reinstalled it that Len found out about a surplus Boeing 502-8 gas turbine, as used in the military version of a Cessna 170 the L19 reconnaissance aircraft, which he acquired from a New York government surplus lot. Detailed records indicated that the motor Len purchased had been used to set the Class C small plane altitude record at 37,062 feet it was then put into storage until it became surplus. More surprisingly the motor fitted into the engine bay like a glove, apart manufacturing a couple of steel straps to bolt the motor to the chassis frame, splitting the radius rods, manufacturing an adaptor to connect the turbine output shaft to the Roadsters propshaft, a pair of five inch diameter tailpipes and fitting a 35 gallon fuel tank not much else had to be done, as Len said at the time “it was almost as though Henry (Ford) had the turbine in mind when he built the car (in 1932)”. The Boeing 502 gas turbine features a combustion chamber which creates hot air that is forced by a fan through an enclosed space at the end of which a second fan attached to an output shaft gets spun before entering the exhaust pipe. 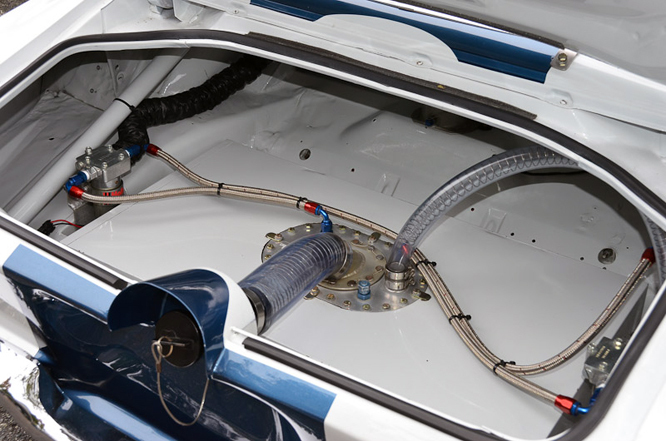 Because the two fans are not directly connected there is no need for a gearbox effectively providing the motor with a built in infinitely variable transmission. In theory one could stand on the brakes and run the gas turbine at maximum 37,000 rpm without stalling the motor, though one might burn out the fan blades if one tried this. 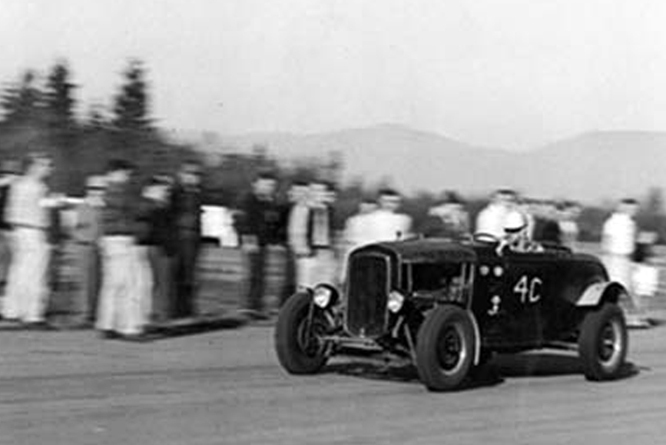 In the rush to complete the car Len, like Rover who manufactured the T4 concept gas turbine car around the same time, dispensed with fitting a reverse gear, however despite the absence of reverse Len resumed driving his ’32 Roadster to work at Boeing’s Plant One. 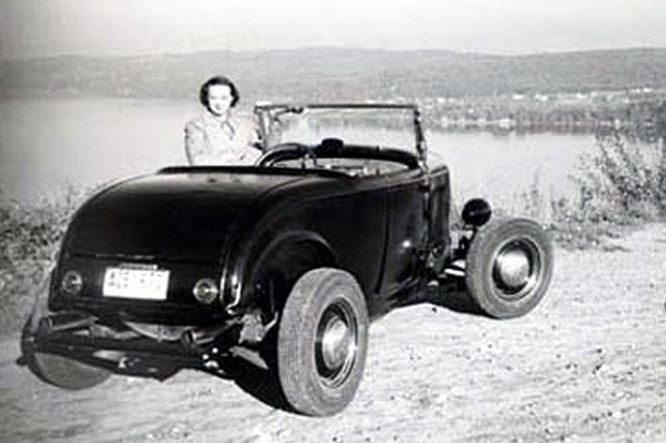 The Roadster was now capable of 0 – 60 in 5 seconds but was conservatively geared at the rear axle for a top speed of just 75 mph, though Len later fitted a higher gear rear axle and saw an indicated top speed of between 110 mph and 115 mph, but he never ran his turbine powered roadster in competition. 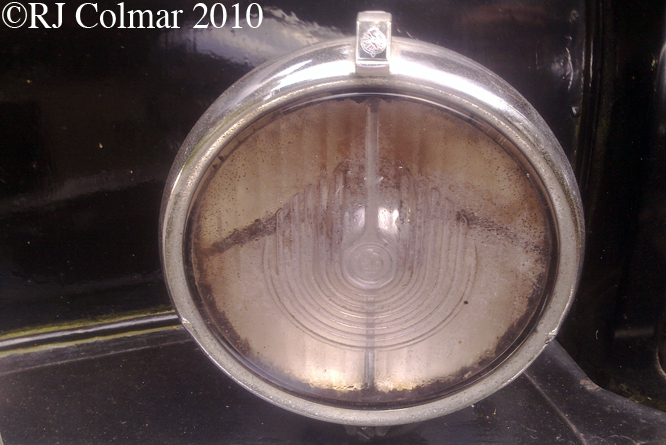 Despite being able to run on a variety of fuels diesel to Jet A one of the drawbacks of the efficient producer of power compared to weight is the inefficient use of fuel, a tear jerking 5-6 mpg was the best Len got from his roadster which was prohibitive even when fuel was available at 16¢ a gallon back in the day. 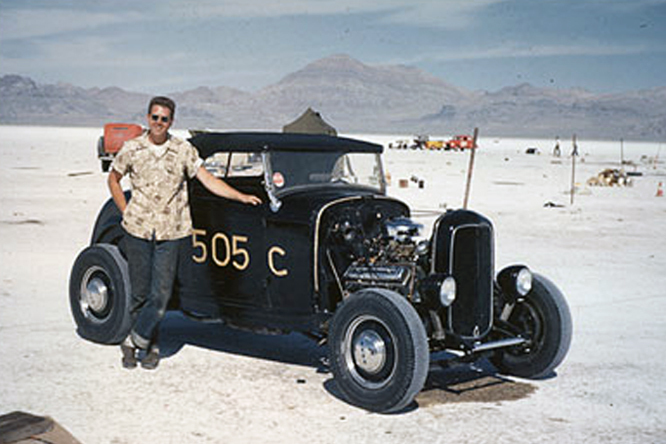 Len’s gas turbine Roadster project was entirely self funded, Len estimates that by 1962 he had spent around $1500 on the car and a lot of spare time. Eagle eyed GALPOT readers may remember it was around this time that Len’s work took him to Indianapolis with the John Zink Trackburner. 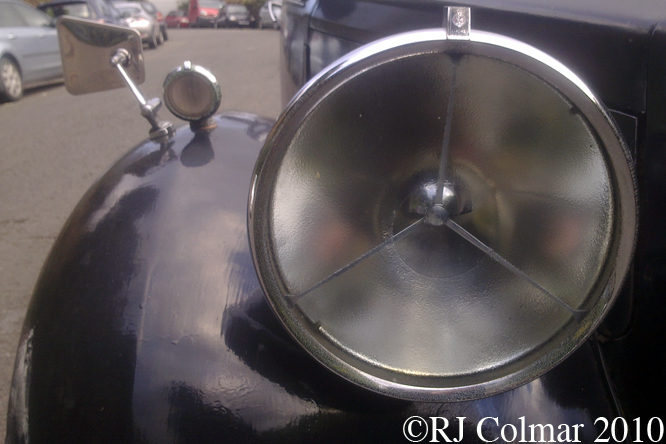 Today Lens ’32 Roadster can be seen at the Le May Museum, unfortunately one of the turbine wheels was burnt out during a demonstration in 2006 and has yet to be repaired. My thanks to Mr Leonard Williams for today’s remarkable story of private innovation, more details of which can be found on Lens website linked here. Thanks for joining me on this Gas Turbine edition of ‘Getting’ a li’l psycho on tyres’, I hope you will join me again tomorrow. Wishing everyone a merry festive season, I’ll be back tomorrow with a short seasonal blog to celebrate a GALPOT contributors birthday. Don’t forget to come back now ! The Automobiliart GALPOT Seasonal Quiz will comprise 8 categories. 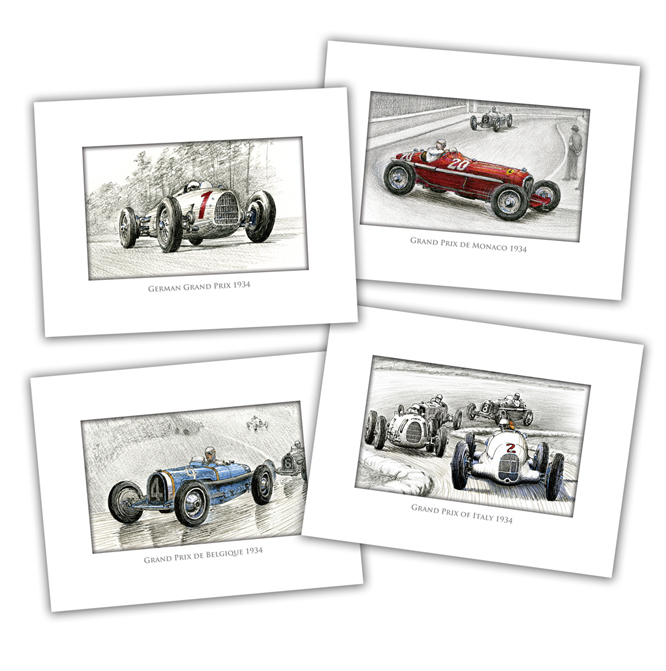 Overall winner chooses one set of Paul Chenard Greetings Cards from the five sets shown above. 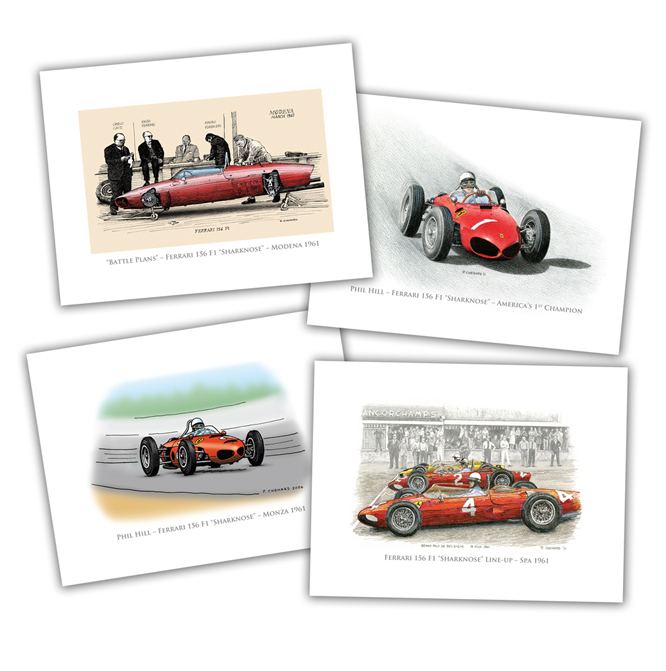 The cards measure 15.24cm x 11.43cm, come in packs of 12 with 3 copies of 4 designs in each set, plus A6 envelopes. Which set will you choose ? 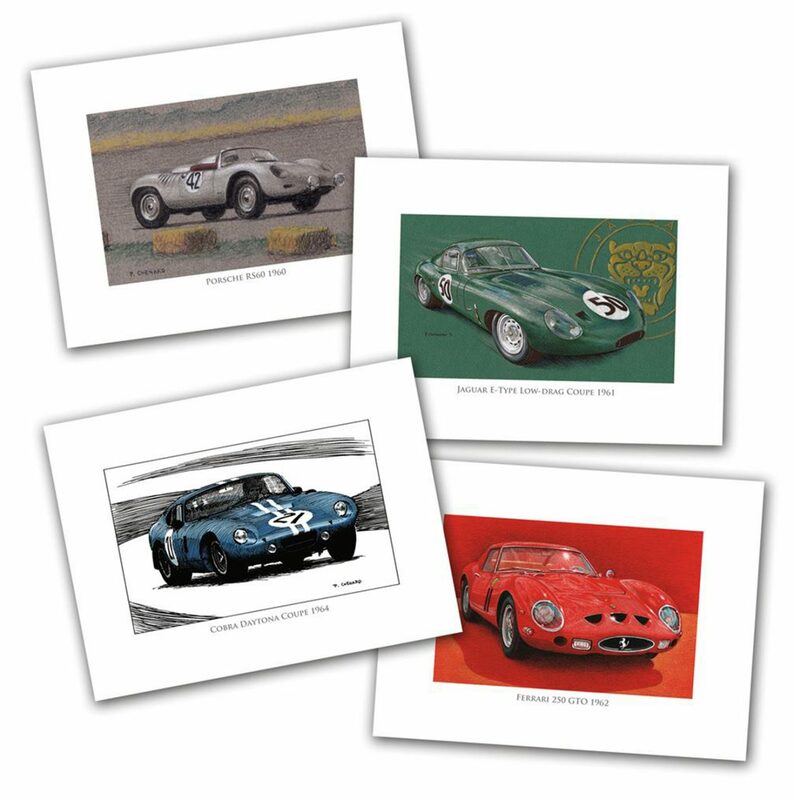 The free to enter Automobiliart GALPOT Seasonal Quiz will run from December 26th – January 2nd Entries close January 8th 2012, Winner announced January 16th 2012. Full details on December 26th at GALPOT. 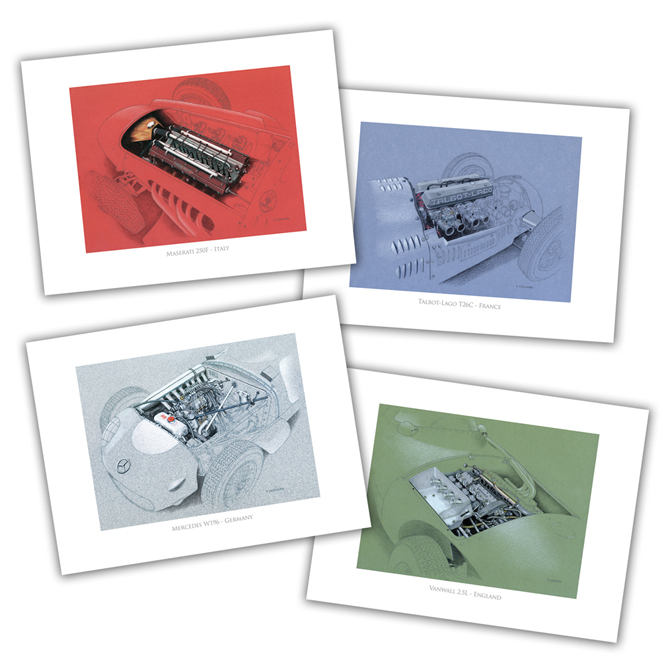 Looking for Automotive Seasonal Gift Idea’s? Visit Automobiliart Now ! 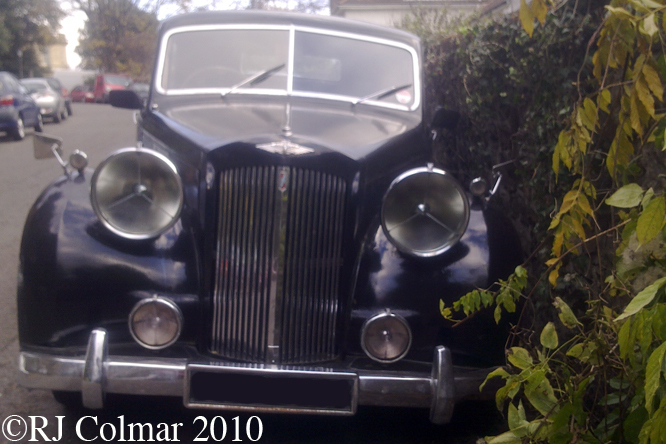 This entry was posted in Uncategorized and tagged 502-8, Boeing, Cessna, Colmar, Davis, Ford, GALPOT, L19, Le May, Leonard, Museum, Oldsmobile, Pontiac, Ralph, Roadster, Rover, SCH, Tucker, Williams on December 24, 2011 by Ralph. One of the cool aspects of The Italian Job (1969) is that it features 3 Mini get away cars one Red, one White and Blue. 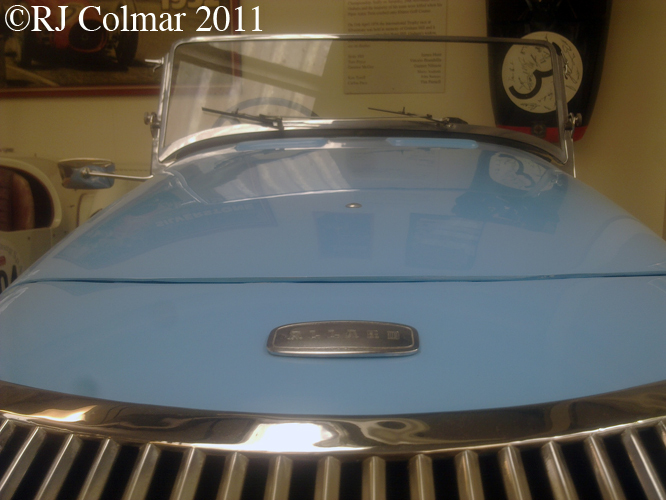 On my recent visit to the Haynes International Motor Museum I was surprised to learn that the idea of continental forays in three patriotically colour co-ordinated vehicles was not born in the ‘Swinging 60’s’ but rather dates back to at least 1947 when Allard entered three cars for the Alpine Rally one Red one White and one Blue. David Hooper tells me that two of the cars used in this event chassis 156 seen here and 595 left the factory painted blue so presumably chassis 595 was repainted white especially for the Alpine event. 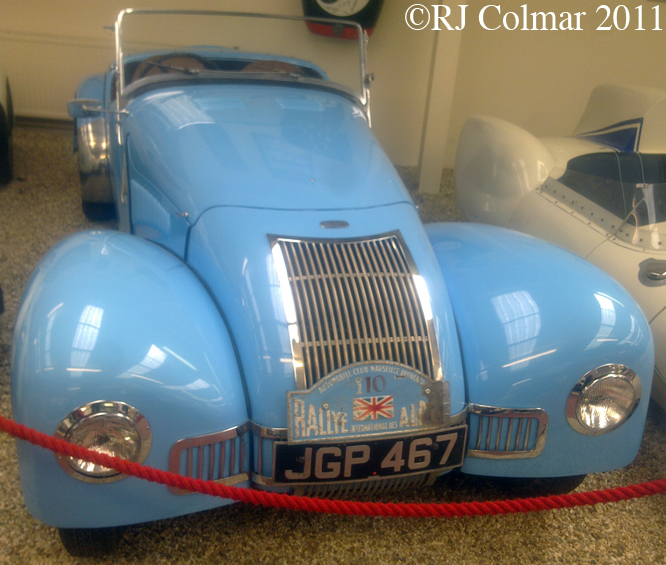 The model used by Allard on the Alpine adventure was the K1 fitted with a British built 3622 cc / 221 cui 85 bhp side valve Ford V8 with aluminium cylinder heads and twin carburetors, not to be confused with the externally visually similar 100 bhp 3917 cc / 239 cui Mercury V8 from the WW2 Universal Carrier known as the Bren Gun Carrier with which the Allard brothers had worked during the war and supplied as standard with the Allard J2 model. The K1 chassis featured independent front suspension, Marles steering gear and hydraulic brakes. 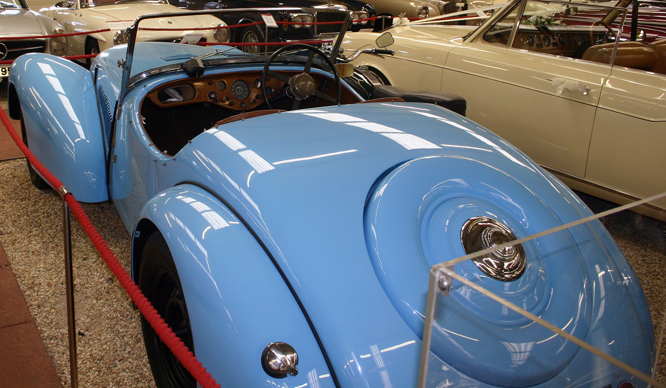 Production of the Allard K1 ran from 1946 to 1948 with 151 examples built, though thanks to a rushed order an early K2 chassis, #1703, one K2 was delivered with a K1 body. Meaning there were actually 152 K1 bodied vehicles and only 118 K2 bodied vehicles built. Leonard Potter drove this particular vehicle, the only one of the 3 1947 Alpine team cars in original unrestored condition, to fifth place in class in the 1947 Alpine Rally despite a damaged front. There were no overall awards in this event until 1952 if there had been Potter would have been classified no better than 17th. 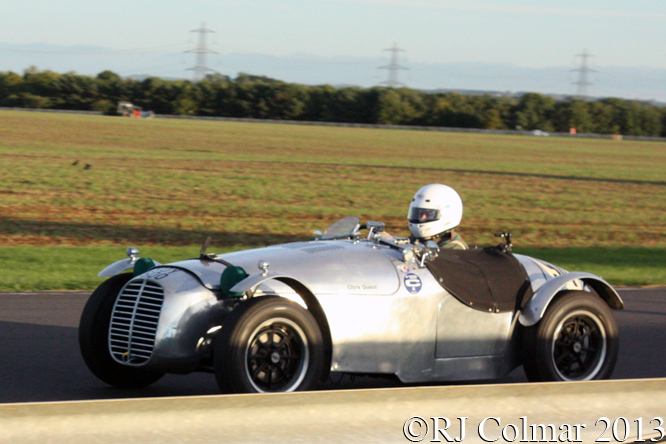 The remaining two cars did not fair so well Goff Imhoff in the white car (which according to some sources is described simply as pale) won a trophy on the manoeuvrability test at Aix but ultimately retired with a gearbox problem, while Maurice Wick retired with a big end failure. 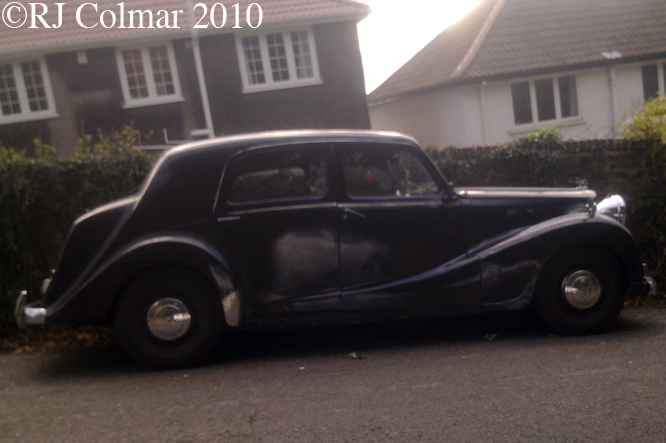 My thanks to David Hooper for his photograph and recollections, to Colin Warnes of the Allard Registry along with David McKinney, Allan Lupton, Tim Murray, Peter Stowe, and Richard ‘Vitesse2’ Armstrong of The Nostalgia Forum, for rifling through a library of information that I can only dream of accessing. 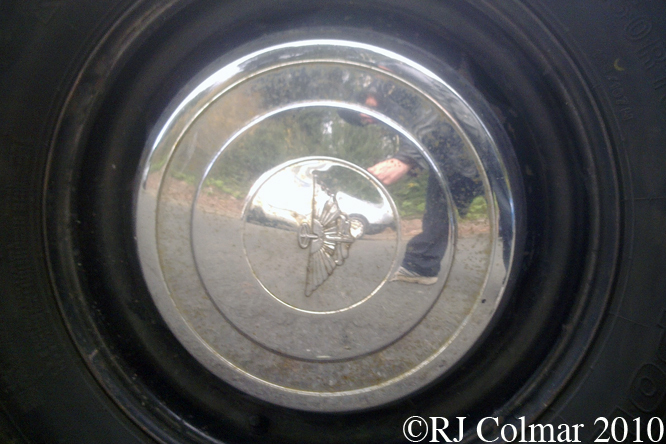 Hope you have enjoyed today’s Alpine edition of ‘Gettin’ a lil’ psycho on tyres’ and that you will join me again tomorrow for a visit to an interesting collection of cars in Calne. Don’t forget to come back now ! 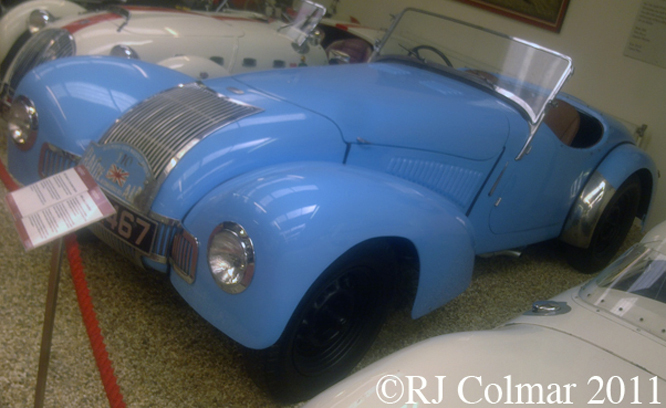 22 06 11 mikeC has kindly confirmed that the Allard team cars were definitely red, white and blue on the 1947 Alpine Rally. 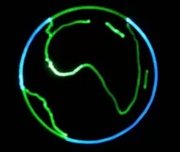 This entry was posted in Uncategorized and tagged Allard, Art, Carrier, David Hooper, Ford, GALPOT, Haynes, K1, Leonard, Museum, Porter, Register, Tidesco, Universal, V8 on June 19, 2011 by psychoontyres.